Welcome to North Canyon Inn Bed & Breakfast. 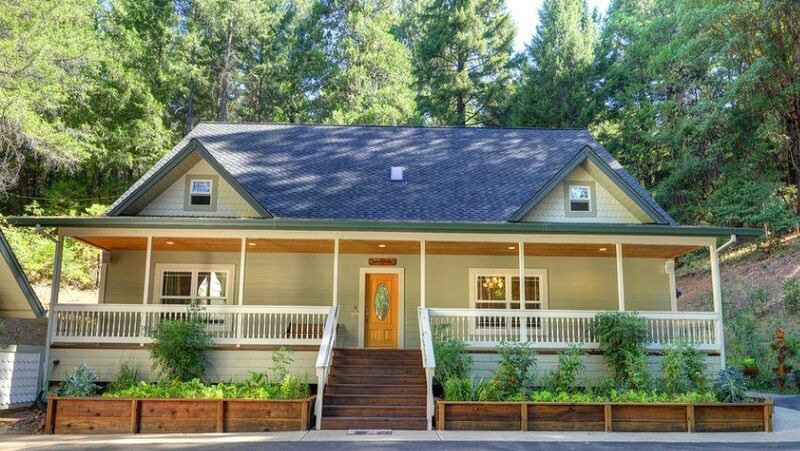 The B&B is nestled among the Apple Hill Ranches and Wineries of El Dorado County, gateway to South Lake Tahoe and Yosemite. The B&B accommodations offer comfortable lodging in a clean modern designed building set against a majestic conifer forest. Rooms are spacious with private baths. Unlike most hotels, our 2 acre retreat offers guests a quiet disconnect from a hectic busy lifestyle. 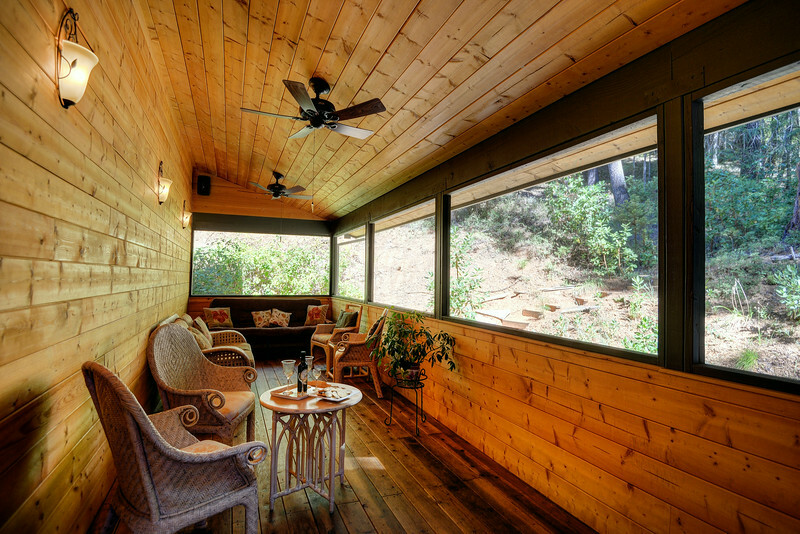 Relax on the screened in pine porch or the covered front porch. The Gazebo offers a place to sit and read a book or simply enjoy the grandeur of the 250 year old trees. North Canyon Inn guests enjoy a full gourmet breakfast, a 24 hour refreshment bar and an evening nightcap featuring local wines and beers and a sweet treat! Click below to book your stay in one of our three elegant, modern rooms today! Looking for that perfect gift? How about a Gift Certificate to North Canyon Inn? Gift certificates can be purchased in any denomination. Please call if you have any questions. Follow the link to purchase on-line. 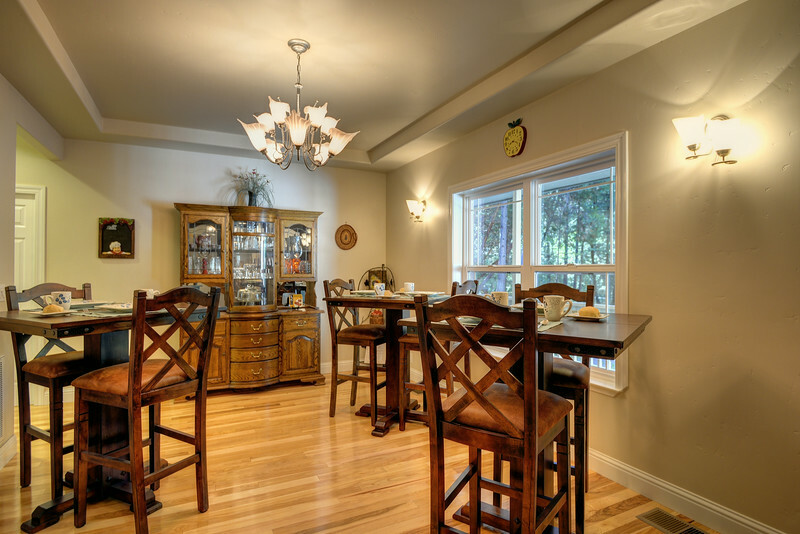 Our location is conveniently set in the heart of the Apple Hill™ Ranches. 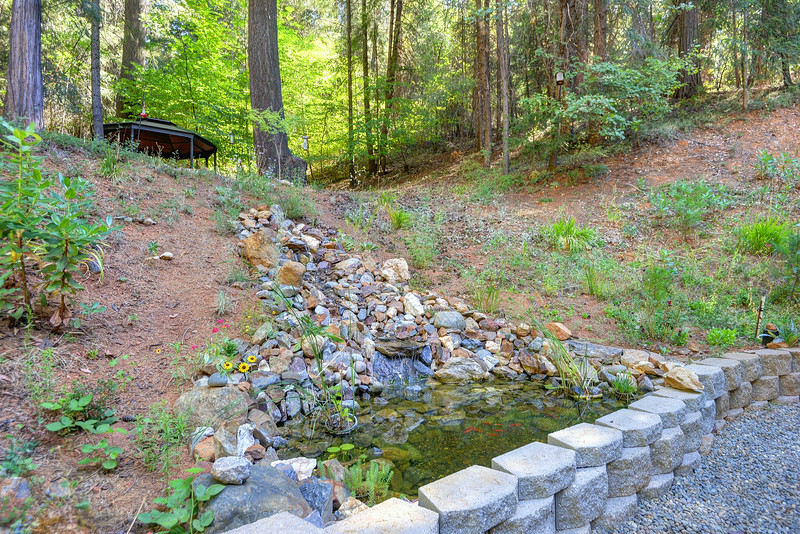 Within 10 minutes of the Inn is an outstanding 18-hole golf course, a micro- brewery, a women’s day spa, numerous award winning El Dorado County wineries and farm to fork eateries. Our neighbor is a Christmas Tree farm featuring fly fishing lessons in North Canyon Creek. We are a short drive to the magnificent Crystal Basin Recreation Area with its many lakes and hiking trails. The area is a bicycling paradise. Leave from the driveway on an adventure from beginner to professional. Hike, run or walk through the natural beauty of the Sierra Nevada Foothills. 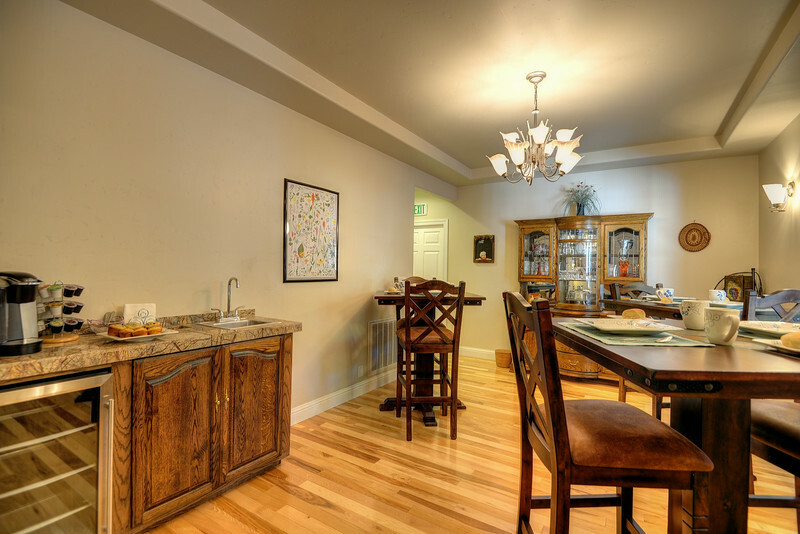 Sierra at Tahoe ski resort is a short 45 minute drive from the Inn. Continue along Highway 50 to enjoy beautiful Lake Tahoe. Take in a show or gamble at the Tahoe casinos. North Canyon Inn - luxury Bed & Breakfast in the heart of Apple Hill. 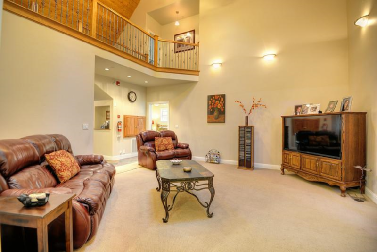 Rest and relax in our tranquil setting after exploring Apple Hill California. 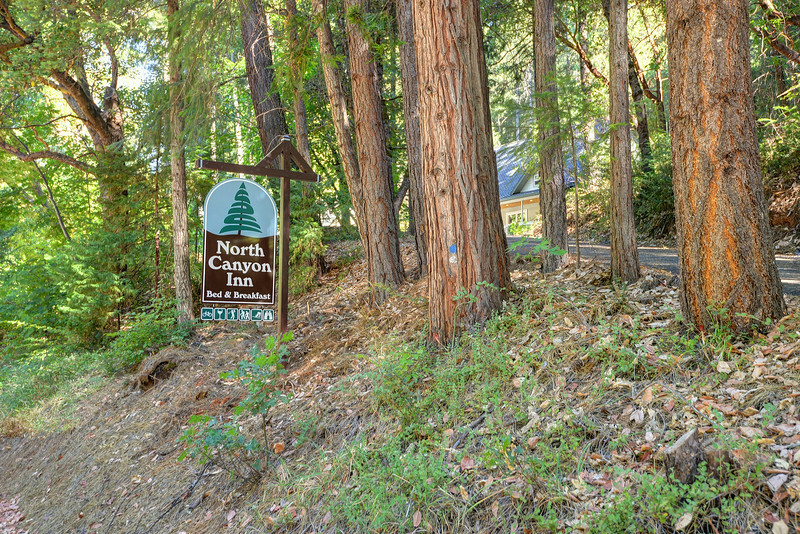 Located in Camino, CA - Apple Hill, North Canyon Inn offers modern lodging in a picturesque setting minutes from many of the fantastic, award winning, orchards and wineries which are Apple Hill. Follow us on Social Media for special event information and discounts!